New Delhi, 31 January 2019: A five-year plan for Indian agricultural research was finalized with the signing of a Memorandum of Agreement (MoA) between one of the largest national agricultural research, education and extension systems in the world, the Indian Council of Agricultural Research (ICAR), and the International Crops Research Institute for the Semi-Arid Tropics (ICRISAT). This plan will focus on technologies especially suited to harsh conditions of the drylands, covering grain legumes and dryland cereals – groundnut, chickpea, pigeonpea, finger and pearl millet and sorghum. The DGs of both organizations highlighted the longstanding partnerships between ICRISAT and ICAR and emphasized convergence on mutually enriching collaborations to evolve, lead and innovate in agricultural technologies. 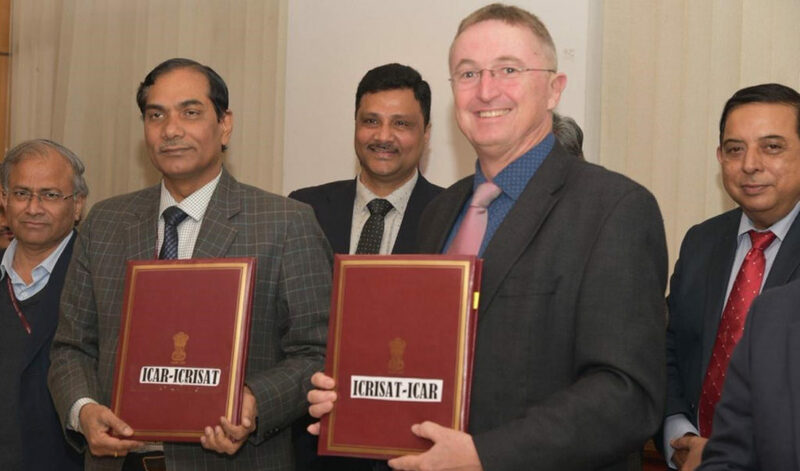 “I value the ICAR-ICRISAT partnership greatly in the interest of farming communities of India” said Dr Mohapatra, adding that this would help adapt to the changing agriculture landscape in India as well as contribute towards the country priority of doubling farmers’ income. The two organizations work together towards creative disruptions by thinking outside the box of existing paradigms. This requires maximizing impact of existing technologies and generating new ones to increase efficiency of dryland agriculture production systems. Key projects include – improved crop varieties, new breeding and enabling technologies, and systems and modeling tools for better farm systems and nutrition-sensitive agriculture value chains. 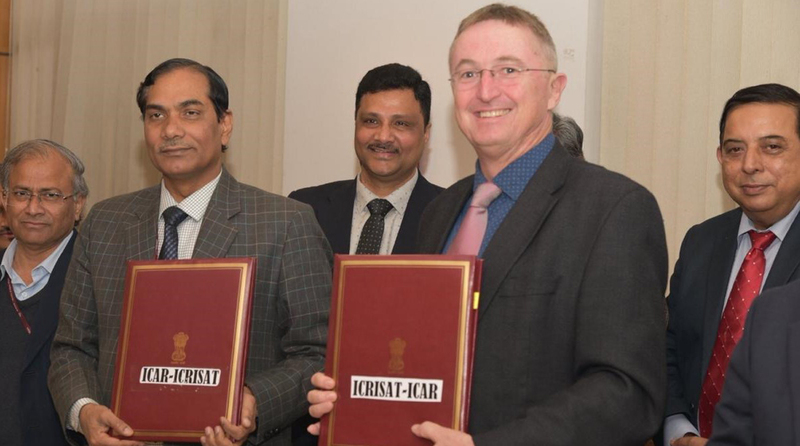 ICRISAT and ICAR have a long-standing partnership of several decades, collaborating on agriculture research agenda. The science at ICRISAT is guided by the needs and priorities of the country, that is set by the national agriculture research program.